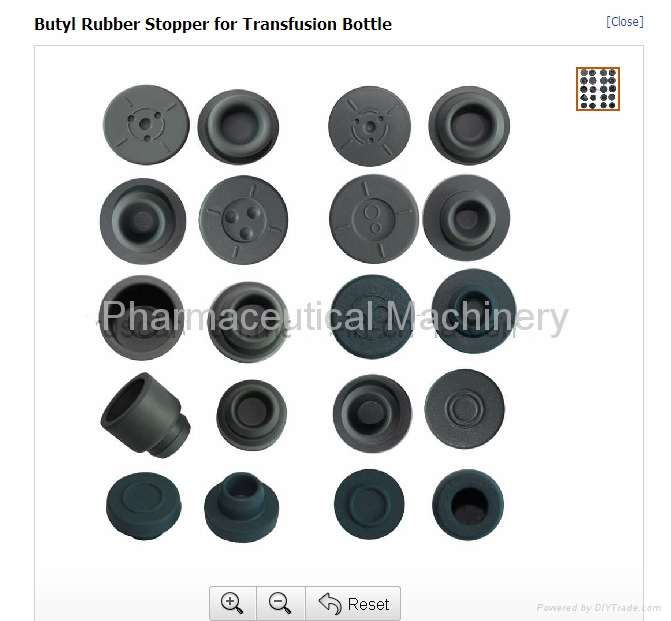 Butyl rubber stopper is made by virgin grade medically Butyl rubber with non-toxic. Butyl rubber stopper workshop is designed as per GMP standards, the workshops of vulcanization, die cutting, washing and packaging are up to the relative cleanness classes. Butyl rubber stopper quality management system established and consummated as per GMP standards. Automatic pre-forming and slice cutting process is adopted during Butyl rubber stopper production. Advanced full automatic vacuum making vulcanization process is adopted. Automatic stopper washing production line with powerful vibrating and blowing washing functions. Successful compatibility test for rubber stoppers and medicine. No leftover, international biological testing standard for biosafety and chemical demand, cleaness and hardness, sealability.